You are currently browsing the category archive for the ‘boxer rebellion’ category. But if laptops replaced paper as the main way of getting notes down, the difference in the actual physical process of research was not that much altered. 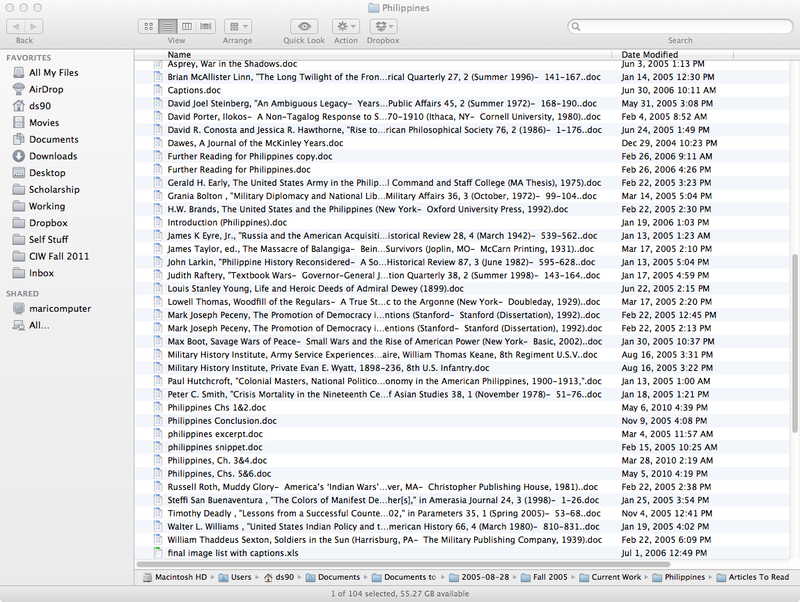 Go to the archive, order the sources you needed, and spend days or weeks or months taking notes on them. Copying costs at most archives were much too high to consider wholesale reproduction, and so note-taking depended on how fast you could type. Portable scanners did not really work; either one had to put the document face down on the scanner or drag the scanner along the document. Neither of those things pleased most archivists. In addition, the scanners were slow and did not offer much storage. Thus, note taking remained resolutely textual, and resulted in the production of lots and lots of MS Word documents with notes on specific sources. That changed dramatically with the advent of digital cameras with high resolution, storage, and battery life. Suddenly, I could buy, relatively cheaply, a lightweight camera able to take hundreds of shots at a resolution that, properly framed, could be read with relative ease on a monitor back home. This advance came too late for A War of Frontier and Empire, but I decided to convert entirely over to using a digital camera for The Boxer Rebellion and the Great Game in China, 1900. This was encouraged by the birth of my daughter Madeline, whose arrival meant that long research trips, while restful, did not contribute to domestic harmony. But what kind of camera? I thought about getting a DSLR, but quickly discarded the idea. This was going to be an experiment, and paying over a thousand dollars for a camera to do it seemed excessive. Instead, I decided on a smaller camera, a “point and shoot.” After a fair amount of Internet research, I settled on the Canon SD800. It got good reviews, took a detailed picture (without being too large), and was reasonably priced. I equipped it with the largest memory card I could (512 MB at first; now up to 4 GB, which translates to about 3000 pictures), and set off. Reached by phone on Wednesday, residents said throngs of people were staging noisy rallies by day outside Wukan’s village hall, while young men with walkie-talkies employed tree limbs to obstruct roads leading to the town. Not far away, heavily armed riot police were maintaining their own roadblocks. The siege has prevented deliveries from reaching the town of 20,000, but residents said they had no problem receiving food from adjoining villages. Can We Have Our Electricity Back, Please? As a followup to these posts (1, 2), and in honor of The West Wing, I note that Tacoma, Washington, was the recipient not only of electricity from the United States Navy, but, 45 years earlier, occupation from the United States Army. Some were able to pay passage on the next passenger train that came through; some hitched on freight trains; some struggled on foot to Portland. The rabid, riotous anti-Chinese talk ceased with the arrival of the troops. Those who had so freely indulged in this chatter, who had discoursed so pathetically on this havoc created by the dreadful Chinaman and the danger of utter extinction to the American citizen by his presence, all at once became wonderfully scarce. The cry “The Chinese must go” was suddenly hushed, and the number of truly good and law-abiding citizens became unusually large. The unit was the 14th (U.S.) Infantry Regiment, who would be fighting Chinese, rather than protecting them, fifteen years later. .
Nicholas Ageno, an Italian boy of twelve years, living with his parents at 77 Oliver Street, and who the police say is leader of a band of boys, last night summoned his followers and set out to look for Boxers. As darkness fell over the city they reached Chatham Square. On Sunday evening Chinamen from all parts of the city and round about congregate at Chinatown. Young Gee, an inoffensive Chinaman who conducts a laundry at 221 East Broadway, came walking across the square toward Pell Street. The boys espied him and advanced to the attack with a well-directed volley of stones, dirt, and other missiles. Gee started for Chinatown on a run, but the boys cut off his retreat, crowded about him, tore his blouse, and otherwise ill-treated him. Patrolman Rafsky of the Oak Street Station went to the Chinaman’s rescue on a double quick. The boys fled, and the policeman when he arrived on the scene, found only a very dilapidated and thoroughly scared Chinaman with his blouse torn and mud stained, and part of his queue missing. He was not badly hurt, but he declared that the policeman probably had saved his life. The patrolman next directed his attention to the assailants, and after an exciting chase captured Nicholas Ageno, who was placed under arrest and locked up in the Oak Street Station on the complaint of Young Gee. There are a number of fascinating elements to all this. First, a similar article published the next day on a massacre of missionaries and Chinese Christians and also reported through Shanghai was notable for being much less detailed than any of the stories on the purported slaughter at Beijing It was notable as well, however, for actually having been true. The oddity of the event with more detail being the fake one is striking. Second, the Times was again putting in sentences of confirmation, as it had in its previous reports. This time it was the St. Petersburg correspondent of the Daily Express who confirmed that the Russian government had “definite news” about the massacre. “The two remaining legations, the British and Russian, were attacked in force on the evening of July 6, Prince Tuan being in command. The attackers were divided. Prince Tuan commanded the center, the right wing was led by Prince Tsai-Yin and the left by Prince Yin-Lin. The reserves were under Prince Tsin-Yu. The story, the Times says, came from the Daily Mail’s Shanghai correspondent and “emanat[ed] from Chinese official sources.”  It is interesting to note that the news came from a city nearly 800 miles from Beijing, rather than the capital itself, or any of the closer ports. In addition, the copious detail is fascinating: the specifics of the commanders, the time of the battle’s end, the foreigner wounded by a sword in the head. This news story was published the same day as another bit of “fatal news”: the price of tea was rising “as a result of the troubles in China.” Such an occurrence would cause “the domestic woes of Americans…to be increased a hundred-fold. For is it not known of all men that the lady who rules in the kitchen will not stay in a house where she cannot have plenty of tea?”  And so slaughter and tea came together in a way they had not, perhaps, since the American revolution. The next day, the news was worse, or so it seemed, kind of. A giant headline announced “ALL HOPE LOST FOR PEKING FOREIGNERS” and was sub-headed “Even State Department Now Believes They Are Dead.” After these dramatic headlines, with the surety of disaster and tragedy, the story itself was a bit of a let down. “Positive information that the foreigners in Peking have been murdered,” the piece led off, “is still not forthcoming, but each addition report received seems to make their fate more certain.” We don’t know anything new, the Times seemed to be saying, but we’ve lost all hope. So has the State Department: “Even the State Department at Washington, which up to now has regarded the dispatches about the tragedy in the capital as of doubtful veracity, has given up hope for the Europeans and Americans there.” The vagueness of this is annoying. Did someone from the State Department say something? Could you give a specific name? And why didn’t yesterday’s article talk about the State Department’s doubts? Journalism is famously the “first rough draft of history” and today I want to look for a moment at what kind of draft it is. To do so, I’ve taken a relatively short article from the New York Times of June 30, 1900, and read it closely. How well does an article written in the heat of the moment stand up for the long term? The short answer: not well. The long answer, however, is that it is interesting to analyze how the article was constructed, what agendas were served, and where inaccurate or shaded information served some purpose other than simply reporting. As a factual account of events prior to June 30, 1900, the article failed. As a source for a history of that period, the article seems to me eminently useful. Before we explore those answers further, let me lay out a bit of the background to the article. Since early June, 1900, the crisis in China had grown enormously. Early in the month, the western powers sent several hundred guards–soldiers, marines, and sailors–up to the foreign embassies in Beijing to protect them from the Boxers. Within a few days of that arrival, the train and telegraph lines from Beijing were cut, and almost all communication with the capital was lost. The naval forces assembled off the coast at Dagu in the Yellow Sea put together a scratch force of whatever fighting men they had available, led by Admiral Edward Seymour took the train north from Tianjin, close to Dagu, in hopes of being able to repair breaks in the line and make it quickly to Beijing. They failed, and had to fight their way back to Tianjin, reaching it in late June. Things began to heat up in China in late May, early June. What had been hints and ominous intimations were now transformed into a full-blown crisis. The “Boxers”–in earlier stories surrounded by quotes and explanation–became over the course of the month simply the Boxers, a name every reader should have, by then, known. Thus, on May 25th, the Times wrote “The United States Government has taken a hand in the suppression of the “Boxers,” the famous Chinese secret society which is engaged in the massacre of native Christians in China, and to which is attributed numberless outrages upon the foreign missionaries.” By June 6, the Times wrote “The murder of Mr. Norman, the missionary, was undoubtedly due to the complicity of the Chinese Government in the disturbances caused by the Boxers.” The Boxers had become part of the common parlance of educated readers and no longer required explanation. By nearing Beijing, of course, the Boxers neared the representatives of the foreign nations, the correspondents reporting on China, and the telegraph lines that connected China to the outside world. The threat, thus, became much more immediate and personalized for each country and the delay in reporting events dropped as well. The number of articles concerning China more than doubled in the month compared to the previous month’s total. It’s 90 years since the phantom airship wave of 1909, when mysterious aerial visitors appeared in the night skies over Britain. Or at least, stories about mysterious aerial visitors filled the newspapers of Britain. It’s hard to tell from this distance: the only evidence we have about the scareships are the press reports, which could be a problem if you are interested in a possible underlying reality. But then again, since the number of (alleged) phantom airship witnesses is relatively small, the press was the only way most people would have learned that their sky was being invaded by Zeppelins every night. So for them as for us, the stories are the event itself. If it lives up to his previous work, it’ll be well worth following. SAYS HE IS CHINA’S EMPEROR. Note that the story seemed simply to be the excited tale of someone coming off a steamer in Canada, drunk or sober, and yet the newspaper thought it worthy of publication. Like a lot of amateur anthropologizing, the details overwhelm the narrative. The Emperor is being poisoned! His coffin has been sent for! But that’s customary when an Emperor turns thirty! The contradictory flow gives one the sense of a reporter piling things up in his article haphazardly in hopes that a structure will emerge. Between the 21st and 23rd July eleven English and American members of the China Inland Mission were murdered at Ch’u-chou by the local train-bands, which had been organized to defend the town against a rising of the secret society of Vegetarians. Hen-Tung, probably the most bitterly anti-foreign official of the empire, has been decorated with the three-eyed peacock feather, which had not been conferred for eighty years; the notorious Li-Peng-Hing, who was dismissed from the Governorship of Shan-Tung on German demand, has been advanced to the first rank, and the former Governor Yuh-Sien of Shang-Tung has been appointed Governor of the Shan-Si district, a snub to the powers interested, and likely to prejudice British interests in the province, as the powers believe his maladministration is the cause of the present state of affairs in Shan-Tung. The American government responded to the situation by sending a warship from the Philippines to the northern coast of China. The gunboat Wheeling (which, at her launch, had been called by the Wheeling Daily Intelligencer, “A TRIM CRAFT Is the Dapper Little Gunboat “Wheeling.” AND SHE’S A SAUCY THING TOO, With Her Up-to-Date Armament of Long-Fire Rifle Guns.” ) would take up stations off the Dagu forts there. But what could it do? The State Department is in a quandary to devise means to render effective protection to the American missionaries at Shan-Tung. The difficulty lies in the fact that the missionaries have in most cases gone as far as two hundred miles inland, beyond reach of any aid that can be extended from a warship. The first half of March witnessed three themes mingling in the New York Times coverage of China. 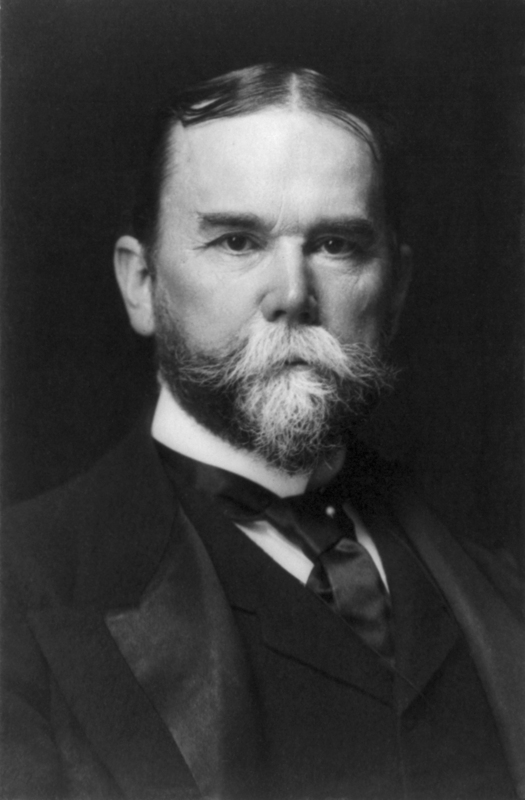 First was the “Open Door” policy of Secretary of State John Hay, an attempt to leverage open the Chinese markets for American manufacturers.